An opinion piece penned by an unnamed ‘Whisky Insider’ and entitled ‘Whisky’s elitist snobbery must stop’ provoked a huge response when it was published on Scotchwhisky.com last month. Derek De Souza, president of the Dallas-based Single Malt Whisky Society, found the insider’s comments ‘outrageous’ and here puts across his own view of the issues raised. I read with interest the article entitled ‘Whisky’s Elitist Snobbery Must Stop’, published on Scotchwhisky.com on 24 April. As an attendee of said event every year since its inception in 2010, I was appalled by the outrageous comments by some gutless female called ‘A Whisky Insider’, because she didn’t acknowledge her given name (what is she hiding?). I totally disagree with them. I would like to both address her comments and the way I see the whisky industry. By way of background, I am a consumer of whisky since the 1960s, initially with blends and then, in the late 1970s, single malts. Since then I have tasted thousands of whiskies, sampled from different distilleries on different continents, because to me it is all about taste. I have a natural curiosity about the range of flavours that exists in whisky, and this impels me to taste. The crux of my problem with her comments is that she doesn’t appreciate the quality, history and the craftsmanship that goes into the preparation and maturation of this complex liquid we call single malt whisky. Given my background, I have attended many whisky events over the decades. My purpose in attending these is to be educated about whisky and to taste whisky that I cannot afford or ‘buy off the shelf’. I use this knowledge to enhance my whisky-drinking experience, because it’s all about flavours and not because I am a snob. The reason that I attend said event is because it affords me these objectives at a reasonable cost. I take umbrage at the remarks of the ‘Insider’, who has brought gender and snobbery into the whisky experience which, in my opinion, has nothing to do with it, even if it may be perceived as such by some who know nothing about the industry or the attendees. Her reference to the ‘high roller’ package as being ‘elitist’ because of ‘middle-aged men in suits’ with an ‘older the better mentality’ and ‘those who buy for investment and a validation of discernment’ is not only sexist and insulting, but it is an inaccurate observation on her part. There was a wide range of ages, from a low of 28 to a high of 70-plus and, even though there was a majority of males, there were a few females in this group – which essentially fits into the available statistics of whisky drinkers. There are a lot more females these days that are consuming and enjoying whisky than ever before. There is no ‘older the better mentality’ among many of the attendees I have met over the years at this event. 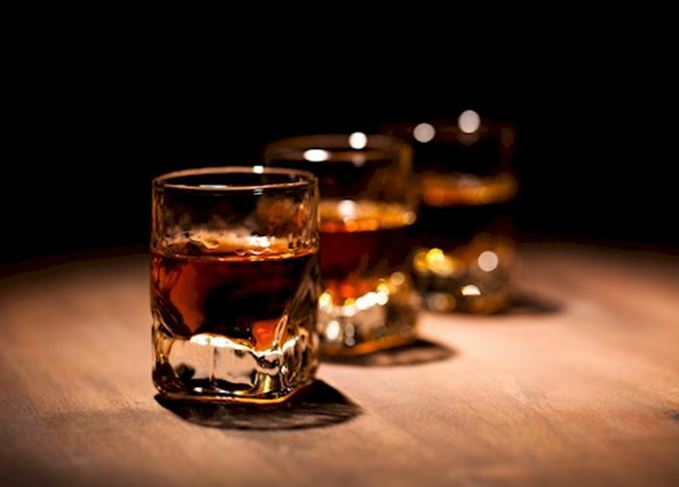 Our common thread is to taste and enjoy some great whisky, and the only way you know it is great is by tasting it. Each one has to make this judgement. As I mentioned earlier, there is a quality to the older whisky, and it has a historical value also. Obviously there is a cost factor too, because of a phenomenon referred to as the ‘angels’ share’. This translates into economics and that means ‘more expensive’ over a long period of time. However, if one has an understanding of how all of this works (I would expect this from an ‘Insider’), the conclusion is obvious. With reference to the ‘speed dating’ incident, let me explain firstly how it works. There is a rotation of brand ambassadors from table to table at the end of each course. Each ambassador brings a special bottle for this event, for the tasting pleasure of the attendees. The concept is to taste the whisky and ask questions relevant to the whisky, or definitely whisky related to the specific distillery represented by the ambassador. I was at the table where the incident she alluded to occurred. When questions were asked and answers were not forthcoming, I can only speculate as to why the conversation deteriorated into what was accurately described. I do not condone that behaviour, but I am also aware that there are ‘some’ who attend whisky-related events where this happens. I will also add that we see this untoward behaviour in all fields, and it is not just restricted to the whisky industry. The other point that was made in the article pertained to remarks made by ‘an extremely highly regarded figurehead of the industry’. I have known this person for several years and will tell you that he has a tremendous passion for whisky, especially in his capacity as a master blender. He has produced several iconic whiskies in both the single malt and blend categories over the years, and enjoys drinking whisky like the rest of us. I didn’t get the point of the Insider’s remarks, other than to reiterate ‘his opinion’, and we all have the right to our own. There is no right or wrong, because it is an opinion of one person. He was speaking to a group that prefers single malt whiskies to blends. The make-up of this group comprised primarily single malt whisky aficionados who were attendees because of reasons I have previously enunciated. The group enjoys drinking different whiskies at different times, which includes single malts, blends and cocktails. It’s again ‘all about taste and mood’. I totally didn’t understand what she was trying to convey. I think the whisky industry is promoting its products well – stressing responsibility of drinking, having diversity in its ranks with more knowledgeable men and women active in the business as master blenders, distillery managers, brand ambassadors and in distillery ownership. I do not know where this Insider fits in, but wish her well in her endeavours. My sole purpose for this response is to set the record straight because I was there.